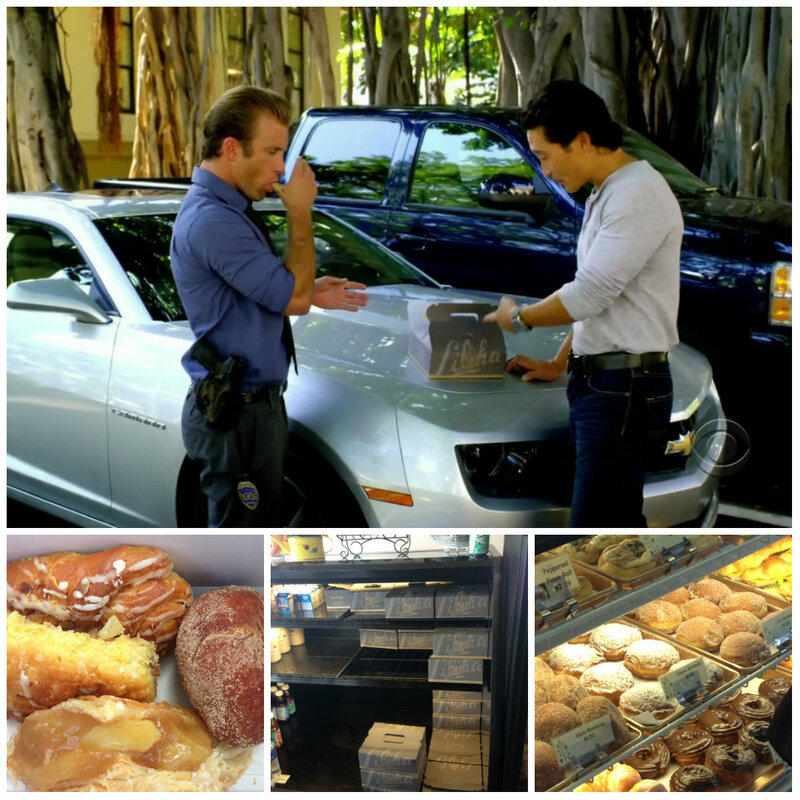 Part 2 of my Hawaiian adventure is all about Hawaii 50 and my search for filming. Stumbling along some filming (and Alex!) was always going to be a bonus and I was determined not to let my fangirling overshadow our holiday. 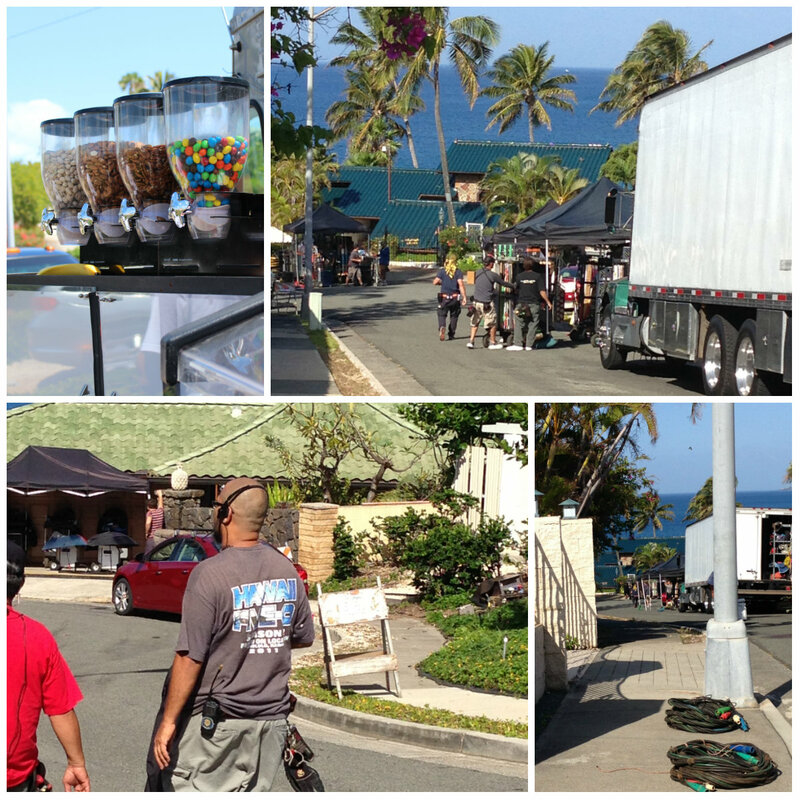 However, I knew that episode 3.23 was being shot while we were on Oahu and I was really hoping we’d be able to see some filming. And find Alex, of course. I discovered that it’s not as easy as you might think! It’s a small island, sure, but you have to be in the right place at the right time or just be extremely lucky. I suppose if you dedicated your time to searching for filming, you may have a better chance of success. Or use social media for insider info. That is how we managed to find filming on the third day we were there. 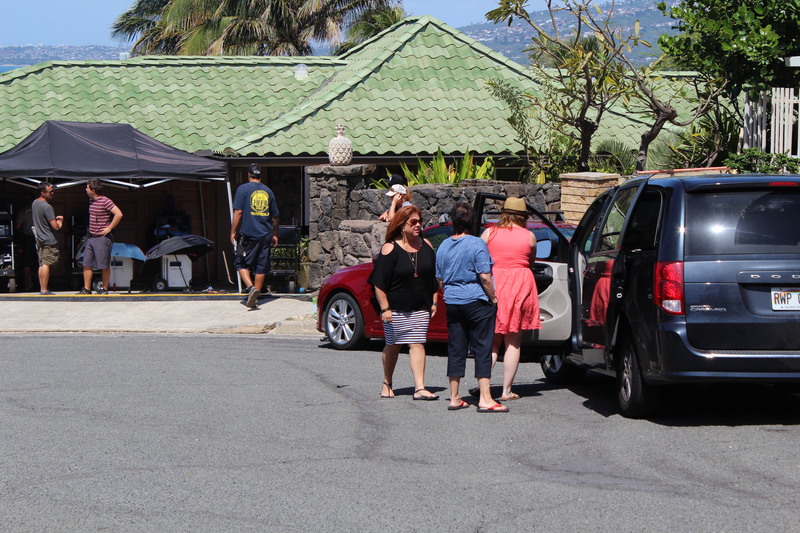 By chance I happened to check Instagram in the morning and saw that Larry Teng had posted a picture of day 1 of 3.23 filming in Portlock, of a scene at the Noshimuri house. If he hadn’t said it was Portlock, we never would have found it. We checked out Portlock on Google Maps and discovered it was about a 15 minute drive from where we were staying. Yipppeee! We knew it was Five Oh as we walked past the vans and the tent and we could see signs of Show – how exciting! We also chatted to a local guy out walking his dog. 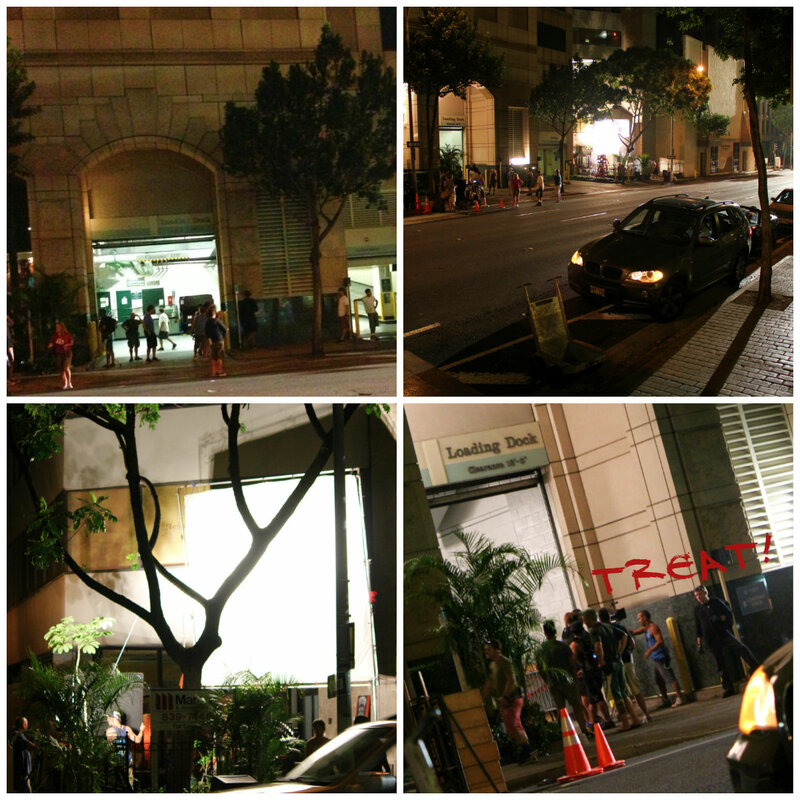 He said the H50 crew set up in the area at least a couple of times per month. It’s rather swish so I imagine it’s used regularly when they need a fancy house for the episode. Anyway, the guy said he had seen Grace Park (OMG!) be driven away just before we arrived so we knew that filming had to be somewhere close. Apart from sheer luck, catching a glimpse of the actors or having a fan photo taken with them involves lots of waiting around. I tested my family’s patience to the limit as we stood on the street for over two hours. The crew were really friendly and they talked to us (happy to note we were from Australia!) and also a few locals came and went. The locals are a bit ho-hum these days, I think, as they see this kind of thing all the time so it’s no biggie to them. But it certainly was to us, the only fans in for the long haul that morning. He looked over and smiled at us. Squeeeeeeeee!!!!!! So you can see that he came out to chat to someone (top left pic), then saw us and turned (top right pic). And then smiled – zoomed in picture at the bottom. It looks like we were a long way away but we weren’t really, just across the street. We were the only people on the street other than crew and it was clear Ian had seen us and smiled. So it wasn’t Alex but it was pretty awesome nonetheless. I was way too shy to walk over to him to ask for a picture, particularly when the crew had said no fan pics today. So admiring from afar was enough. She walked right by us, up to the top of the road with her kids to get some lunch. I was totally awestruck and just stood there – some fangirl I turned out to be. I wanted to say to her as she walked by, “You were awesome as Madeline in the Aloha Girls ep!” But all I could manage was “Hi, how are you? How’s filming going today?” What a dork. I would have loved a picture with her but I was just too shy to ask and it seemed inappropriate when she was with her children. What Lesley did say was that they’d be at least another couple of hours yet and because we had to meet Sage on the North Shore and my kids were a tad over it, we left. So I was really disappointed that Grace Park didn’t come out but it was still pretty cool to have seen Ian and gained a really good understanding of how much effort it takes to film just one scene. Arggghhhh, it wasn’t posted until the evening! We’d been at Pearl Harbour all day and when I got back to the cottage and saw the pic, I realized we’d only been a few miles away from this location. Darn it! We did get lucky one more time though. 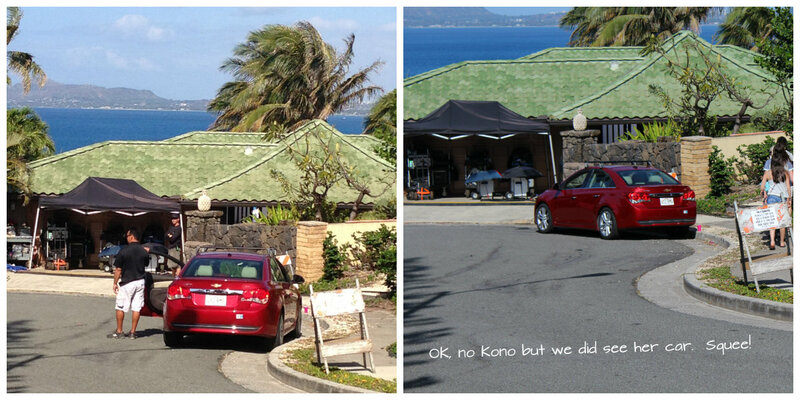 On the day we climbed Koko Head, a local guy posted on Twitter that there was filming downtown, near Bishop Place. Despite being exhausted from climbing and swimming (my kids and husband are troupers! ), we drove downtown after dinner to see what we could find. This was it. Treat Williams! The crew told us that “none of the 50 kids were around” but we stayed for about an hour and a half anyway. We were asked not to take pictures of the actual scene and had to be moved out of the way of the shot but we did manage to sneak one in of Treat Williams, as you can see in the bottom right hand picture. It was fascinating to watch this scene – it was just Treat peering around the corner of the building then following the truck inside but it was done over and over again. Cars that you see driving up the street that seem random when you watch the episodes are actually strategically placed – each time this scene was redone, the drivers had to reverse back to their positions and start again. A local guy was watching with us and he told us his friend had seen Alex and Scott filming at HQ and they got out of Danny’s car 15 times before the scene was finished. I think being 3.23 and near the end of the season, there was an emphasis on privacy and the crew were pretty tight-lipped about where they’d be filming during the week. I actually tweeted Treat and said I’d seen him filming but he said the locations for the rest of the week were ‘a secret’. I guess you just had to be lucky to see anything so I was really grateful that we had. We did go to Kahala Mall a few times (for dinner, shopping and to see a movie) – Alex lives near there and is often photographed with fans at the mall. We were out of luck though. We even bought food in the Whole Foods Market where I know Alex has been seen before. Mind you, only someone with his income could afford to shop there – lovely food but really expensive! And no, we weren’t really stalking him as the mall was on our way back to the cottage from downtown. 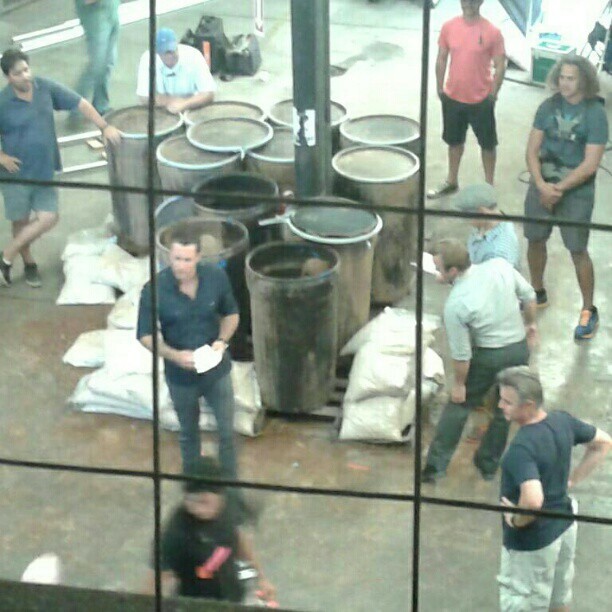 In the second week we were in Hawaii, Treat Williams posted a picture on Twitter and Instagram praising Alex for his hard work so they were obviously filming together early in the week. 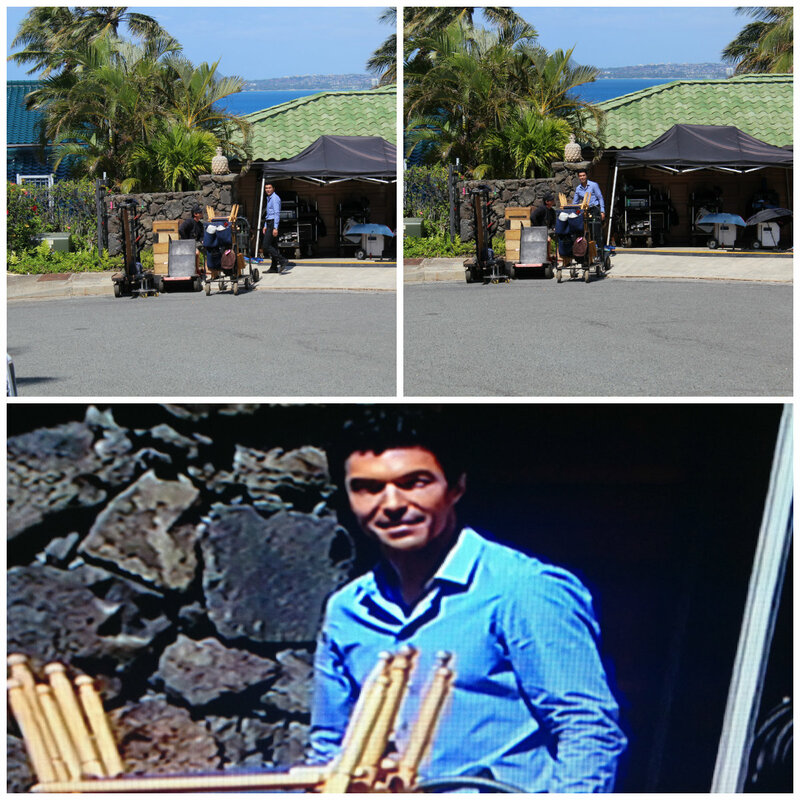 The picture that was posted looked like it was from earlier in the season, the first episode Treat appeared in as Mick the PI, so even though I figured out where the location was (a house in Kahala), I had no way of knowing whether they were there or not. Then we went to the Big Island when @monimoob tweeted that she was downtown in the wee hours of the morning and managed to catch a glimpse of Alex. I know now he was filming the ‘ninja’ scenes with Christine Lahti then. So I had to be content with views of an active volcano on the Big Island instead of a slim chance I’d get a view of Alex. Sigh. An active volcano or Alex? Hmmm…. So, so near and yet so far is the story of my ‘search for Alex experience’. I just have to be content with being on the same island as him at the same time. As I said, if you searched really hard you might find him or if you are just really, really lucky it might happen. I am disappointed that it didn’t happen for us but I’d not swap our amazing experiences in Hawaii for anything. What I did manage to do though, was find lots of filming locations. I craftily built our holiday activities into my search so it was all completely legitimate. Well, that’s what I told my family anyway! Chin and Danny in El Malama (the Julie in the Jungle ep from season 1). My bakery pics underneath. 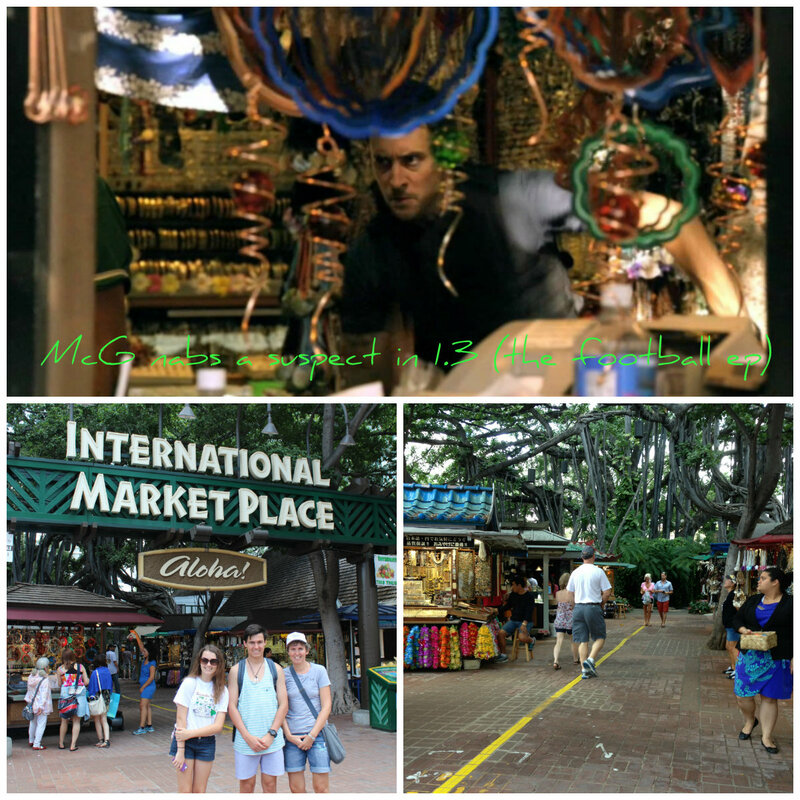 There’s also the International Marketplace, where a suspect is nabbed in the football ep early in season 1. We went there to look around the markets and to have lunch. 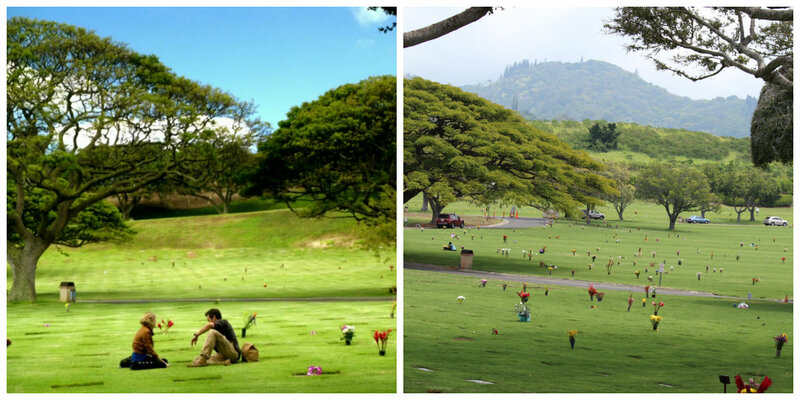 Who could forget the season 2 episode where Lori and McG race up the steps at Koko Head before Lori falls. We only knew about this hike from watching the show and it was always going to be on our list of things to do. I made it to the top. Yay me! Top two pics are mine, bottom two from the episode. Cool hey? 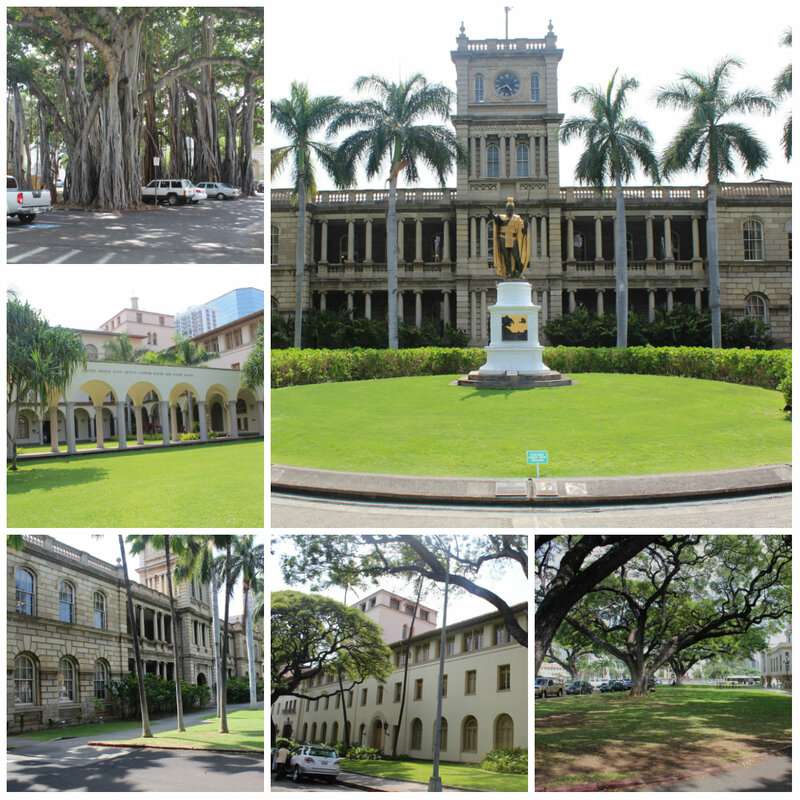 Downtown Honolulu has loads of Five Oh things you can see. A visit to ‘HQ’ is a must. Just so you know, I was crazy excited about seeing these buildings and the surrounding areas even if no Five Oh-ers were in sight. Just being there was enough! And even my kids were excited about being there. The Post Office and Aiiolani Hale. 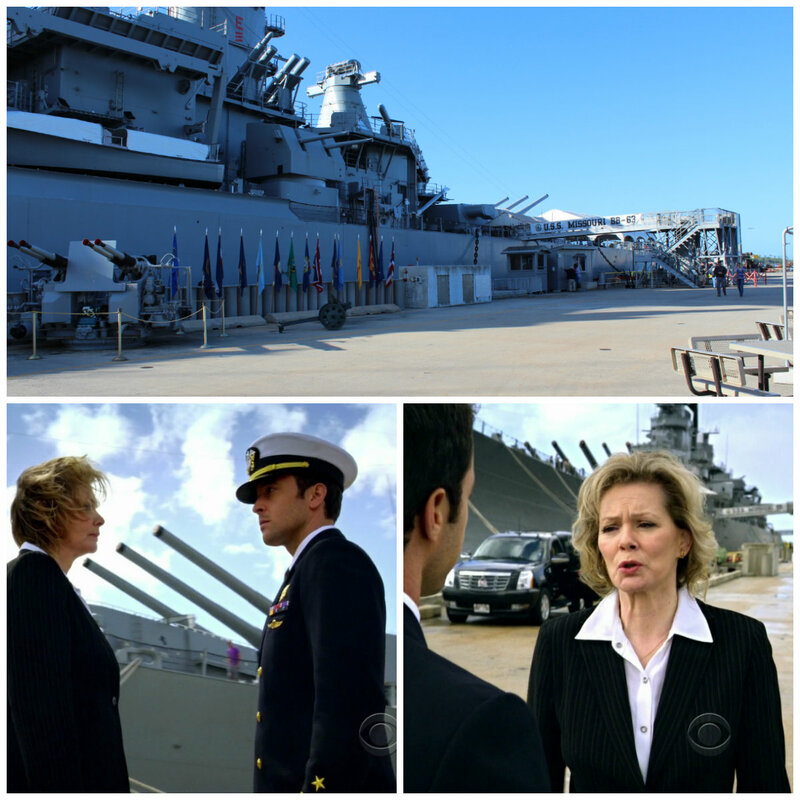 The interior HQ shots are filmed at CBS studios on Kapiolani Blvd. We went inside, too, as I bought some souvenirs. Mary’s rented house was featured in the episode where she is kidnapped and the Champ Box contents are stolen. I can’t remember which part of the island her house is meant to be located in, but I believe it is inland and obviously not where this picture was taken (also because McG couldn’t get here as quickly as he did in the episode from where Casa McGarrett is actually located). This is on the North Shore, near Kualoa Ranch. 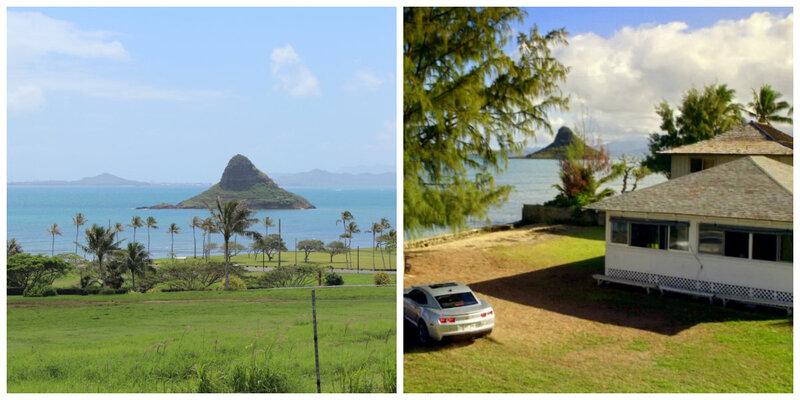 The island is called Chinaman’s Hat. Also, in another of my favourite episodes (3.7), Zach, a teen master hacker, is released into his parents’ care from the Hawaii Youth Correctional Facility. 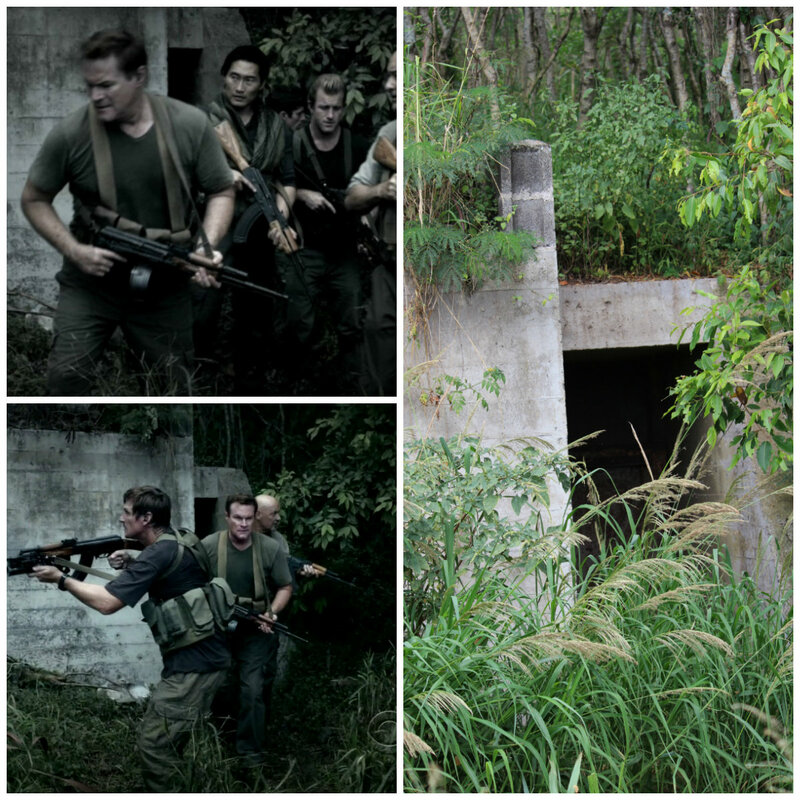 In the episode, it seems to be located in a remote part of the island – remember the family is lost on the way back and Zach is kidnapped? This facility is actually on a highway and we passed it everyday on our way from Waimanalo into the city area. How about that? 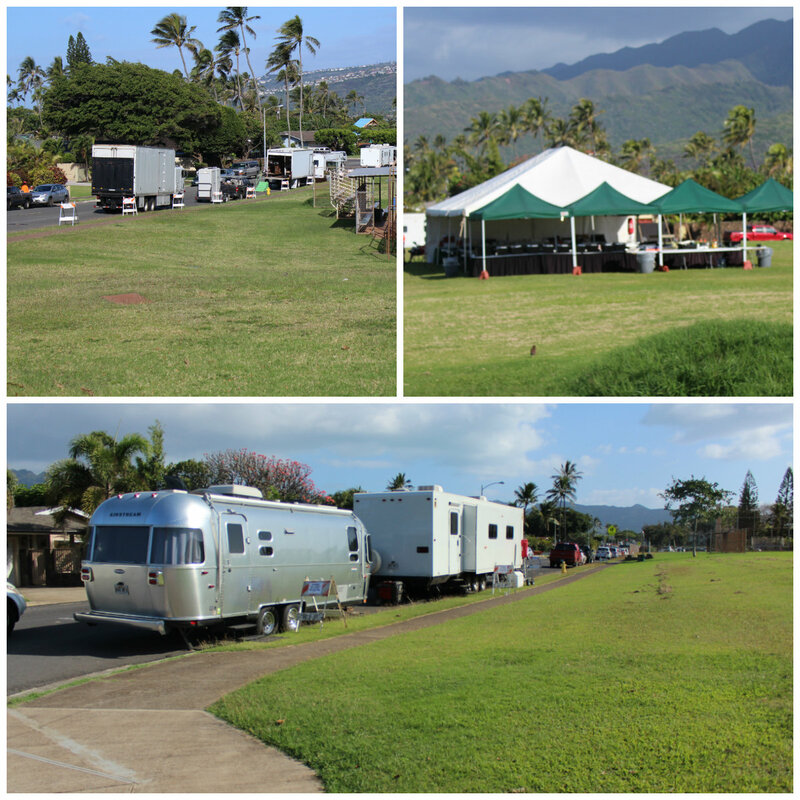 According to the H50 Undercover website, much of the General Pak episode in season 1 was filmed in Waimanalo Beach where we were staying. So I didn’t find Alex but how cool is this: the store where McG and Kono find a former soldier of the General’s was about a 5 minute walk from where we were staying. We actually bought something in the shop so we stood where Alex stood. Sigh…. My pic at the top, Alex being filmed going into the store at the bottom. Squeeeeee! You can also see the mesh behind the suspect in the bottom pic to the right of the pic we took. We drove down this road everyday! 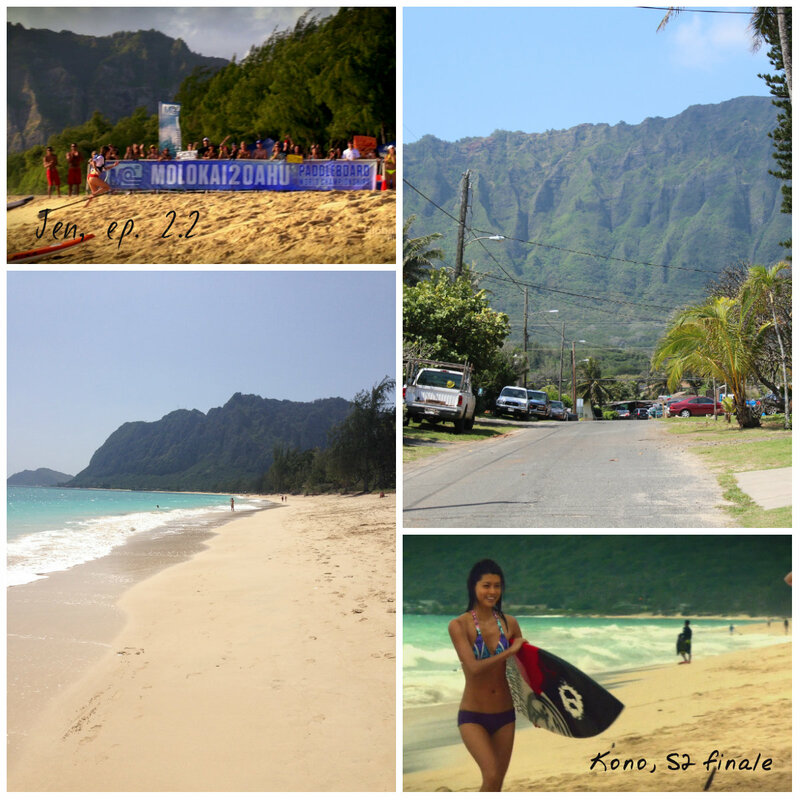 Waimanalo Beach has also been used in at least two other episodes. Check out these pictures, of Jen the paddle boarder from episode 2.2 and of Kono coming out of the surf in the season 2 finale. We took the other two pictures. From the opening scenes in the pilot. Looks a little different when over-run with tourists! Top pics are from the episode, the bottom ones are mine. We sat down the other end to where Lori and McG, at a table rather than a booth. There’s a fair amount you can see just by walking and driving around and you’ll find yourself recognizing scenes from the show as you do so. 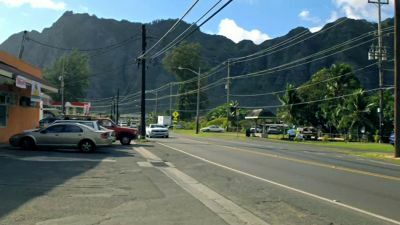 We saw lots of stuff that I didn’t photograph – we saw the turnoff to Halawa but didn’t go there to find the prison and we took a wrong turn and ended up at the entrance to Hickham Airforce Base. We also drove by the Rainbow Drive In on our final night. There are also iconic places like Diamond Head, Ala Moana Beach Park, Sand Island and the HHV that you can easily find. I must admit to being crazy excited just to be in these places and now we’re all fired up to watch Show from the beginning to look for familiar locations. It’s a shame you didn’t get to see Alex but you saw so much! I love seeing the locations next to your pics, I have this weird mental block where I kind of forget they’re real places. I blame the Universal Studios tour and to a lesser extent, Blazing Saddles (I’m in a peculiar mood today, sorry about that). I’m impressed that you managed to contain yourself when you saw Lesley Boone! I would have seriously embarrassed myself, I think. Still in awe about Koko Head Stairs. Also, that is totally Aunt Marie’s trailer in the first collage, even though I will be amazed if anyone even gets this reference. I really have to hand in my fangirl card because I was such a dork when Lesley Boone spoke to us. I so wish I’d asked her for a picture but I was just too shy. Just as well I didn’t meet Alex because I would have been a total mess. Hopeless! 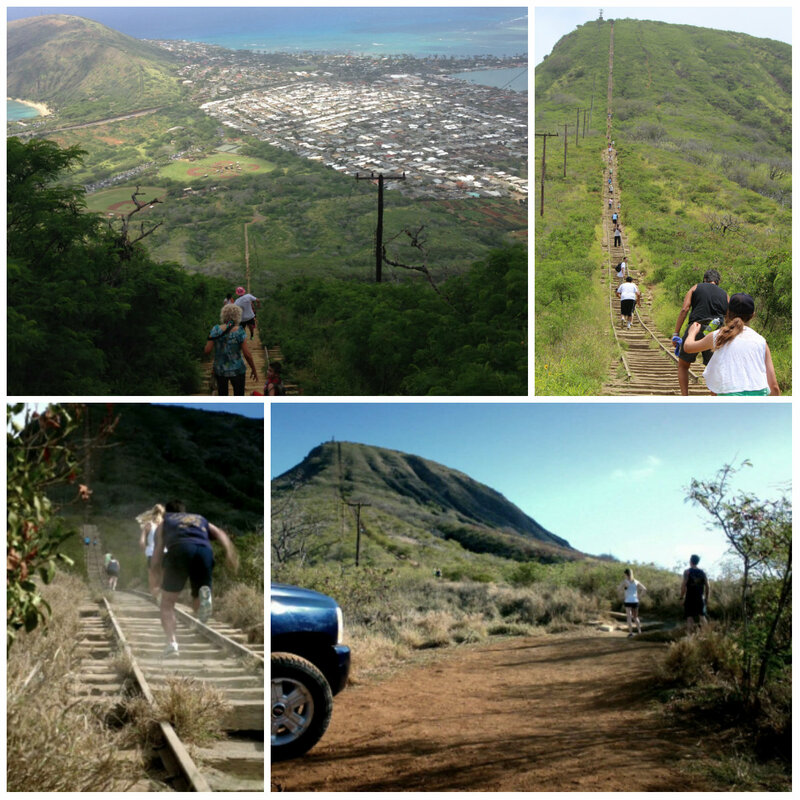 Koko Head will always have a special place in my heart if only for remembering how sore my legs were the next day! I still can’t believe it myself – I made it to the top! And, you are right, I didn’t get the Aunt Marie reference but Google knew what you meant! Andrea, this strikes me as thoroughly researched, well written and very interesting to read – I like bits of facts/trivia now and then. The effort you put into visiting these places, finding info about it and making this post impresses me. Thank you a lot for sharing! Thanks for your comment, marnov. The search for filming locations was a true labour of love and it was amazing how easily I could fit everything into what we were doing. I’m really fascinated by the filming process and to have seen something of what it takes to make an episode and visited some of the locations – well, all pretty cool stuff for a nerd like me! I really enjoyed this Andrea. It brought back a lot of wonderful memories of my trips to Hawaii. I was wondering ,Alex says in many ways it reminds him of Australia. Did you feel that way? I’d be interested to know. I am so glad that you and your lovely family had such a brilliant time..I bet you all want to go back again. Hawaii is so addictive!!! Thanks, PN. Yes, definitely, Hawaii does remind me of Australia and I can totally see why Alex loves living there. I grew up in NZ so the mix of the Queensland outdoorsy, laid back lifestyle I have here and the Polynesian culture of my childhood makes me feel very much at home in Hawaii. I too have just returned from Hawaii. 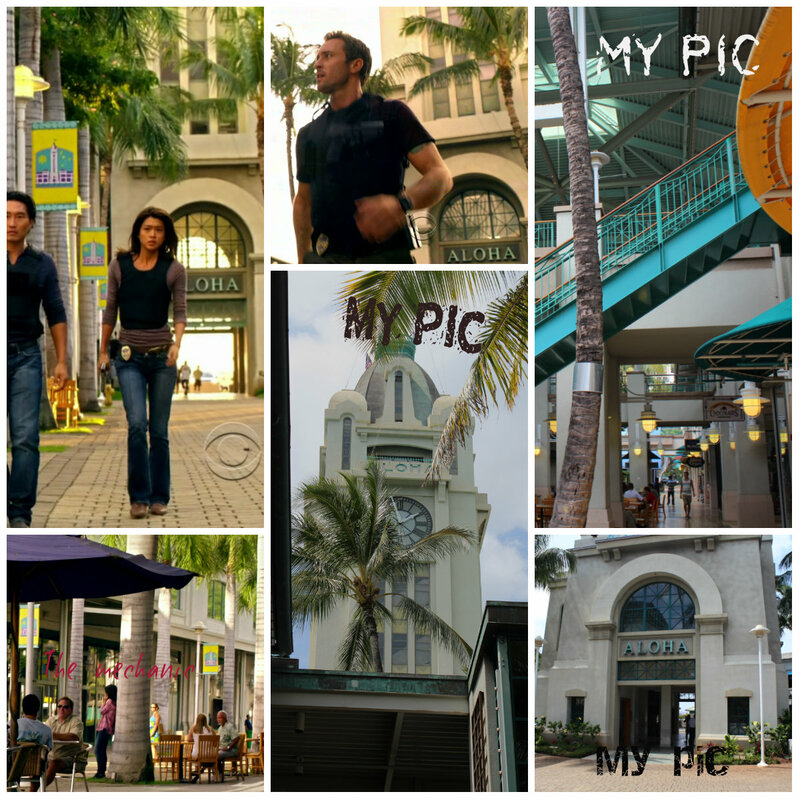 I was lucky enough to see them film in the international market place in March 2012, it was the NCIS LA – Hawaii Five 0 cross over episodes. I got pictures of Scott & DAniel and one of me and LL Cool J. This trip we met Dennis Chun and one of the “bad guys” who gets blown up in 3.20 – he’s a bad guy in North Korea. 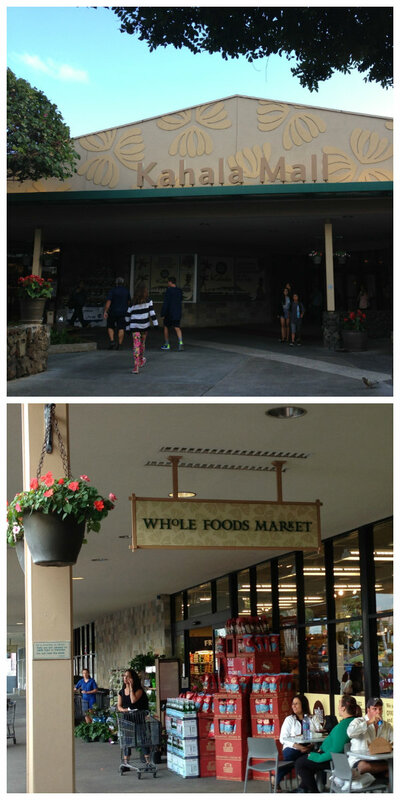 We also did the Kahala Mall & Whole Foods thing……..my 11yr old daughter is as bad as me now. 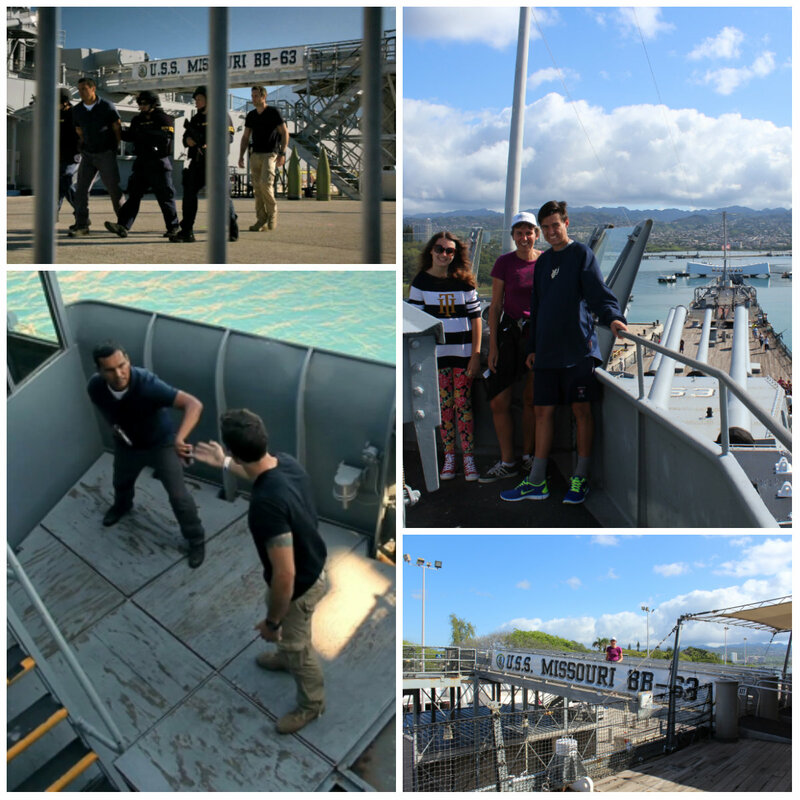 We stopped by the studios behind Diamond Head and had our photos taken with the Hawaii Five 0 fleet of vehicles – from the shrimp truck thru to the silver Camaro. We also had breakfast at Bogart’s – Alex was a no show, but we’ll go back again next time. I was a little confused with your dates, we arrived on Sun 21 April and attended a wrap party on Mon 22 April – I thought filming had finished on the Fri 19 April. 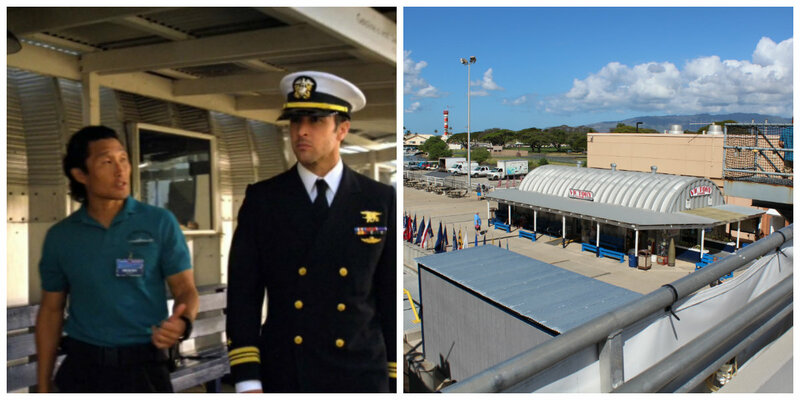 It is nice to know i’m not the only one who uses a holiday as an excuse to go looking for the Hawaii Five 0 guys……..I’ve made a few friends thru H50, so who knows what’s in store for us on our next trip. ALOHA! This is great, Andrea. We are on Oahu for 6 nights in total but without a car so we were more limited. As you know we were at the Hilton for 4 nights and I had to contain my excitement at seeing many locations within the grounds including from the Danny’s brother ep, one of my favourites. I also stumbled across the Crazy Fish shop where Danny buys Grace the pink dress for the dance; this was also within HHV grounds. 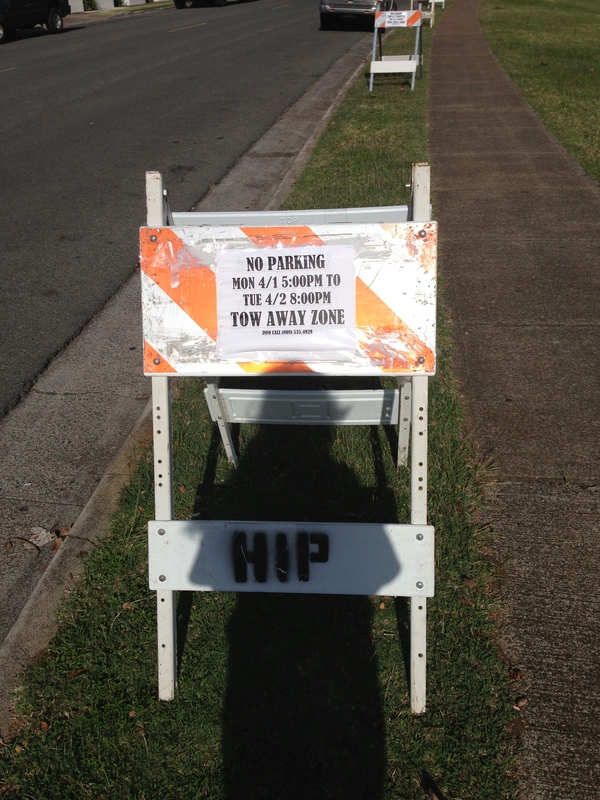 I was taking photos of car parks in Ala Moana park where Danny’s in the car with Rick prior to shooting Stan! 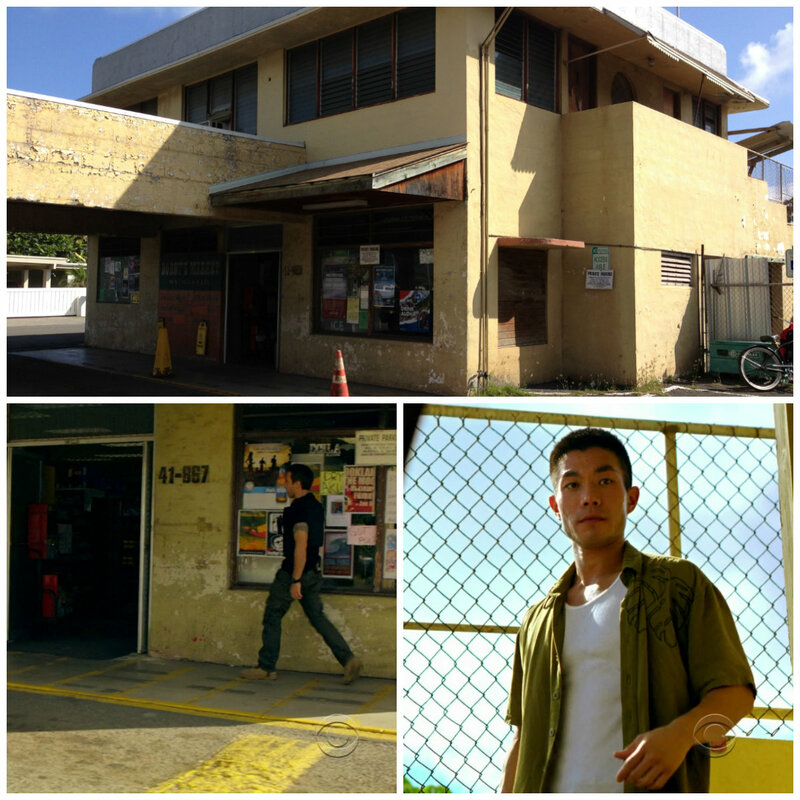 Coincidentally our last night in Oahu was a location too, the hotel where Lori and Chin have an excrutiating convoy about Steve then see Kono in the car with the the bad guys when she’s under cover. 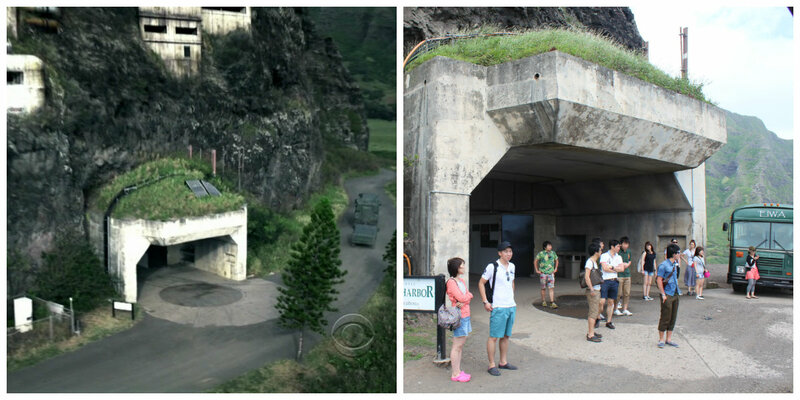 So much of Oahu has been filmed at one time or other it feels a bit like one big location. In a way it was better that filming had finished when I went as I probably would have driven my friend mad! The volcano was amazing, wasn’t it? 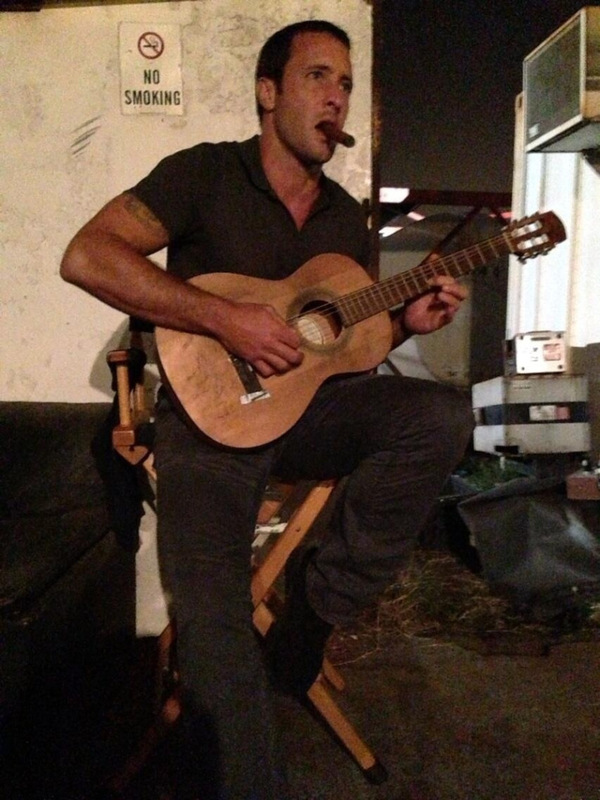 Heard H50 were planning an ep there one day. 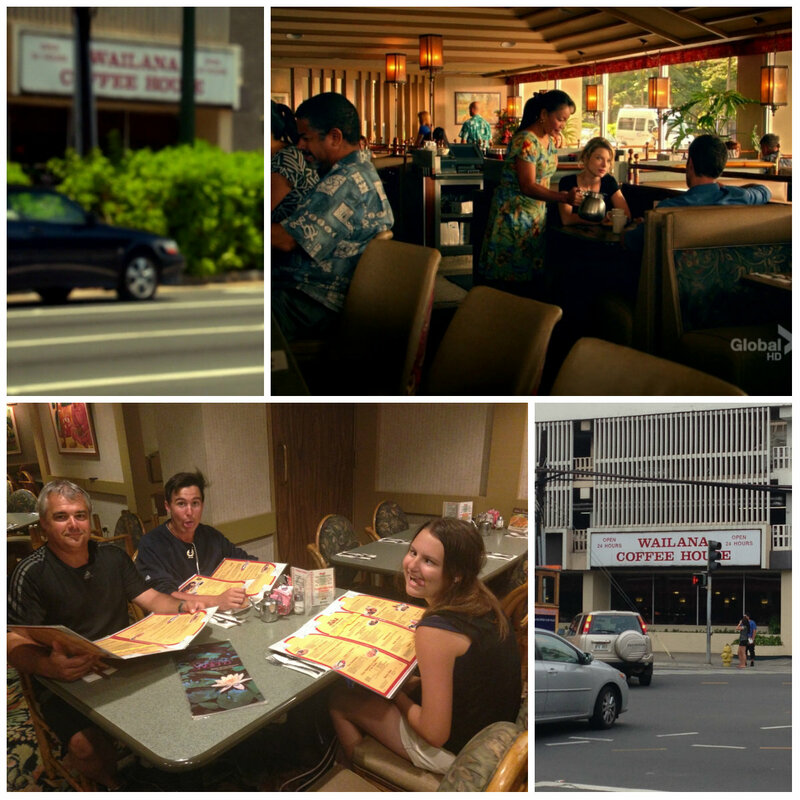 Maui was lovely and they’ve already filmed at LaHaina where we stayed. Thanks so much for sharing. You see Show differently when you’ve been there, don’t you? Yes, having a car makes a huge difference and allows you to cover lots of ground in a short time. You certainly had the HHV covered, though! 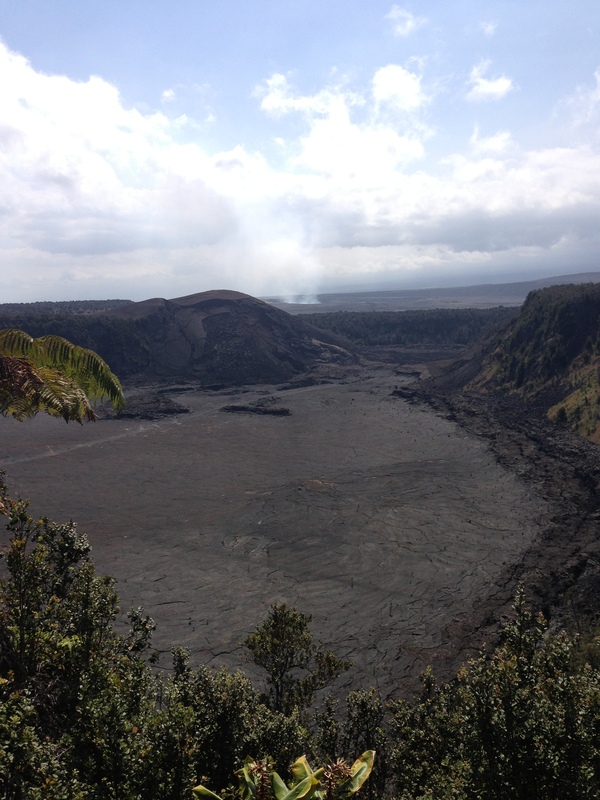 The volcano WAS amazing and you were so lucky to have had the chance to do the helicopter ride. I’ve been to Maui before and loved it, too – I think each island has its own identity and ambiance. I definitely agree that you see Show differently when you’ve been there and because we saw filming, I feel like I see the actors differently too now. 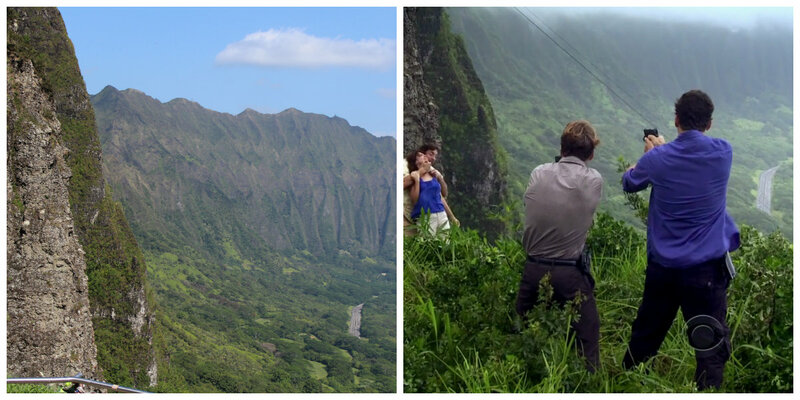 In terms of some of the locations, they look quite different in the episode – I mean, the area at the bottom of Koko Crater looks much bigger on screen than it does IRL. It is rather exciting to watch Show now and look out for the places we have been to and this was especially exciting for us having been on the island when 3.23 was filmed.